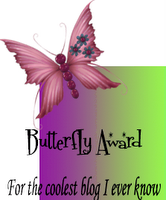 Again a separate post only for awards :). Jaishree has passed me a whole lot of awards this time. 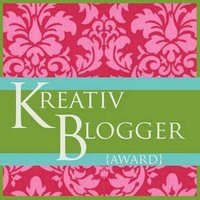 Butterfly Award, Kreative Blogger, Hard Working blogger, cup of friendship, Good job, Inspiration Award. Thats a whole lot Jaishree. Thanks for passing these awards. Vidhas, Kitchen Flavours, Pavani has passed me this wonderful360* foodie award. Gita, Kitchen flavours, Pavani, Jaishree has passed me this Great Buddy Award. Thanks guys. This means a lot to me. Jaishree has also tagged me. Will post the tag soon Jaishree. Thanks. Congrats dear! Pls check out YAAT post at my blog! Well done. It's always nice to be acknowledged for what we do!